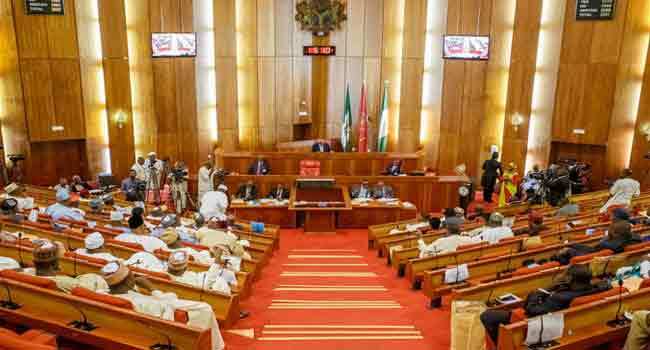 The Senate Committee on Banking and Finance, on Monday, commenced the process of confirming the nominees for the positions of Deputy Governors and members of the Monetary Policy Committee (MPC) of the Central Bank of Nigeria (CBN). The nominees are made up of two Deputy Governors and four members of the Monetary Policy Committee. They were on Monday led to the screening by the Senior Special Assistant to President Buhari on National Assembly Matters, Senator Ita Enang. This comes months after months of waiting as a result of the Senate’s decision that it won’t screen or confirm nominees by President Muhammadu Buhari. The Senate, however, reversed its decision on Tuesday last week and gave its committee the go-ahead for the screening of the CBN nominees whose absence had prevented the Monetary Policy Committee from meeting this year. At legislative proceedings last week, the Senate decided to make concessions by screening for confirmation of the nominees. They gave the committee on Banking and Finance, one week to consider the requests of the President. Speaking after the screening on Monday, Enang said he is hopeful that the Senate will consider other nominees pending before the senate. “You can observe that those who are screened now are the two deputy governors, the four nominees of the Monetary Policy Committee. The members of the board are not screened. I know the Senate in its magnanimity will extend that and go ahead to clear other nominees,” he said. Some of the screening process, Enang explained involves studying the credentials and curriculum vitae of the nominees and adequate questioning.